In recent decades, many fields have been revolutionized by digital technology, but it is likely that no single field has been as profoundly transformed as healthcare. Recent years have seen the appearance of new chemical engineering technologies, advances in robotics, and computer systems that have facilitated the work of healthcare providers. Yet among all these advances, one technology that particularly stands out is the electronic medical record (EMR). It has brought along a plethora of benefits for both care providers and patients at a minimal security risk. In March 2018, Apple promised to further transform healthcare by introducing the Apple Health Records beta app in one of its iOS updates. This update allows users to download their EMRs onto their iPhones. While Apple hopes to make medical care even more efficient and give users more control over their health, this update comes with risks that are hard to ignore. Electronic medical records have changed the healthcare industry in numerous ways. Perhaps most evidently, they have made healthcare more efficient. 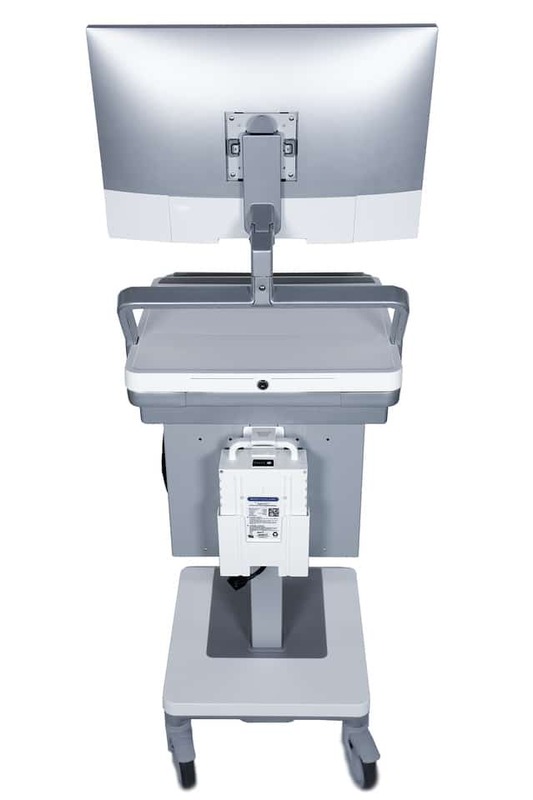 Patients’ EMRs can easily be accessed through medical laptop carts on wheels in a clinic. With medical records in a database, these can quickly be accessed anywhere by care providers and shared among clinicians when necessary. This minimizes the risk that medical records will ever be lost, as they are no longer on paper. EMRs also increase productivity. This is due to the speed at which data can be accessed, as well as the diminishment of paperwork, which reduces costs. Costs are also minimized because of decreased duplication of testing, as past testing and results are made available to physicians. Additionally, EMRs often result in better treatment outcomes. Accurate and updated information on patients is made available, along with past health history, making it easier to see the bigger picture and track trends in a patient’s history. The ability to readily access so much information has allowed for greater accuracy in diagnoses and prescriptions. Finally, with EMRs, the privacy of patients is protected. When all of an individual’s health information is stored electronically, security becomes a crucial concern. The Health Insurance Portability and Accountability Act (HIPAA) ensures that healthcare providers build in some sort of protection EMRs. Safety measures that are often built in include access controls like passwords, encryption, and audit trails. These measures ensure that only authorized personnel access information, and information breaches are rare. While Apple’s new update intended to further advance the efficiency of medical record technology, there are dangers associated with storing your EMR in your smart phone. Apple’s Health Records app raises concerns primarily related to user privacy. The app can potentially store information about patients’ health conditions, allergies, test results, immunizations, medications, and vitals. It goes without saying that this information is extremely sensitive. Apple has claimed that this information will be encrypted, like everything else on an iPhone, and that it will not pass through Apple’s servers. Yet despite Apple’s efforts to secure this information, the extent to which Apple can truly guarantee its privacy is questionable. This is highlighted by the 2014 iCloud celebrity hack. Although this hack involved phishing and the targeting of specific individuals, it still casts doubt on the claim that Apple can ensure data is fully protected. Equally concerning is the fact that anyone with access to a user’s iPhone can discover their records. Unlike medical carts for laptops and other devices in a clinic that contain EMRs, which are securely protected, personal smart phones do not always have the same degree of security. Advancing technology can provide unimaginable benefits for the healthcare industry and its patients, but it also comes with unpredictable risks. When documents as sensitive as medical records are involved, it is probably best to proceed with caution.